Here’s another photo of the South African Coastline. 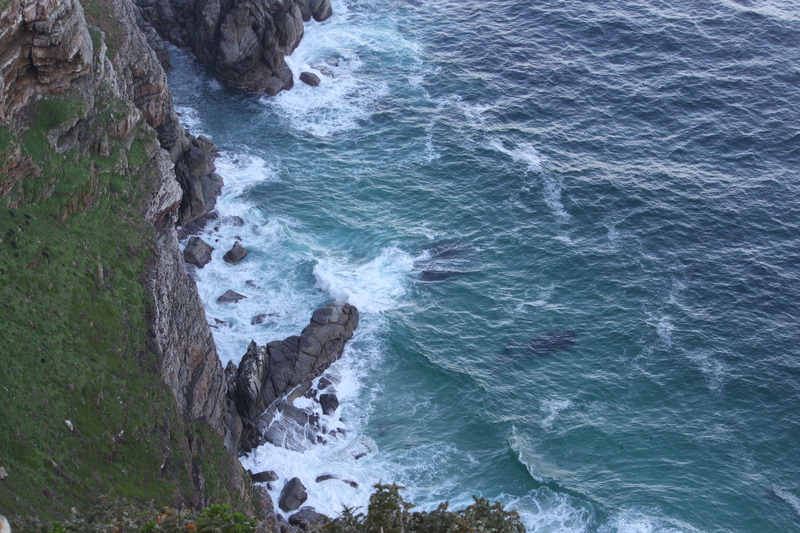 This photo was taken during a visit to Cape Point. I hope you enjoy the view. I know I did! This entry was posted in Travel Photos and tagged 50 Year Project, Africa, Cape Point, Nature, Photography, South Africa, South African Coastline, Travel, Travel Blog, Travel Journal, Travel Photo. Bookmark the permalink. You were mighty high up there! A long way down! Beautiful! how gorgeous! did you get to climb down and walk the shoreline somewhere less trecherous? We didn’t have time to go to the shoreline. It was only a four hour tour. Next time…next time. I could get dizzy just looking! The water is such a pretty color. I need to find out! Awesome place as Your photo also. The place amazed me. Thanks. I need to get to Cornwall!!! You can take the night train, but go out of season. it is extraordinarily busy. There are walking holidays you can do there which are a nice way to get around and see things.